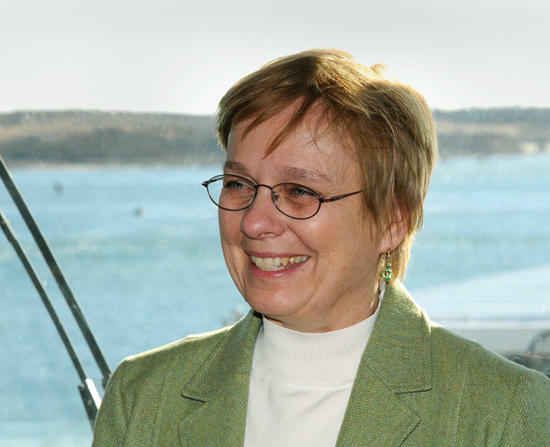 Susan Avery, president and director of Woods Hole Oceanographic Institution, has announced she'll step down next June. The president and director of Woods Hole Oceanographic Institution recently announced she’s stepping down when her contract ends in June. Susan Avery is the first female to lead the Institution. She took the helm in 2008 as the nation’s financial situation was rapidly deteriorating. Research has been hit hard by the recession. Some of the reasons are specific to the science sector - government funding and the internal workings of research centers. But rising health care and retirement costs are stresses Woods Hole Oceanographic Institution shares with many businesses. WCAI producer Elsa Partan sat down with Susan Avery last week to talk about the future of the Oceanographic - the work she's done to leave the Institution stronger, and the challenges that remain.